Only 26mm high, the PA1 fits neatly under a Goldring GR1.2 or GR2 turntable. Many modern amplifiers don’t have a turntable input. The PA1 solves this problem by amplifying the signal from a moving magnet cartridge to a level suitable for the line inputs of an amplifier such as Auxiliary, Tape, Tuner etc. Combining audiophile grade components with an exceptional adherence to RIAA specification, the PA1 delivers truly outstanding sonic performance and value. 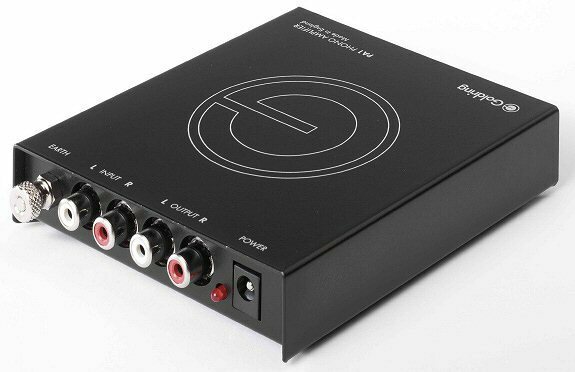 In addition, the PA1 can also be used to upgrade the performance of most standard amplifier turntable inputs.